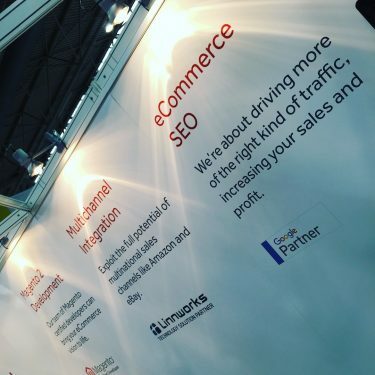 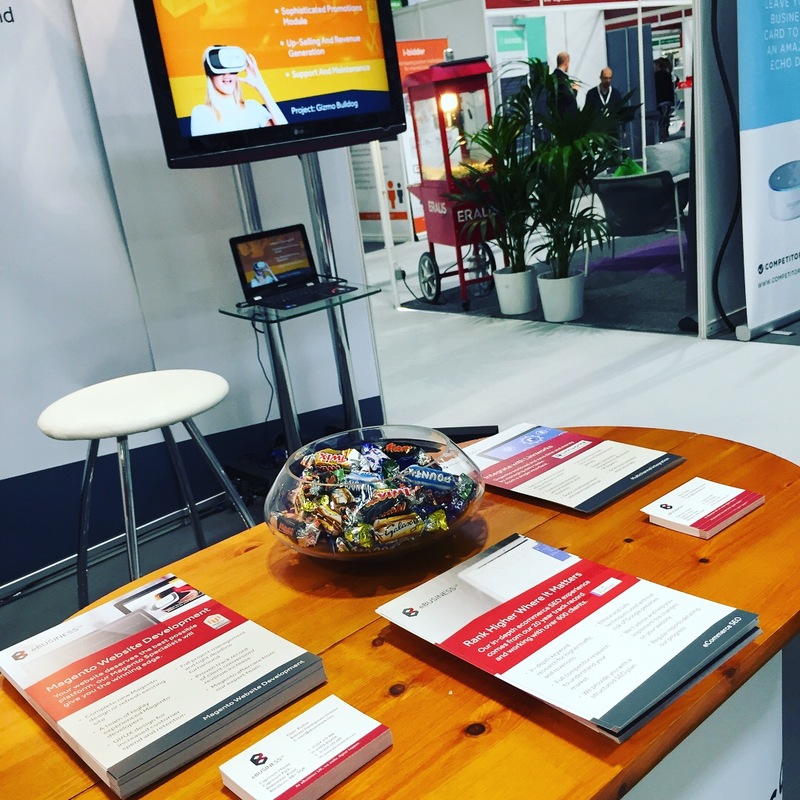 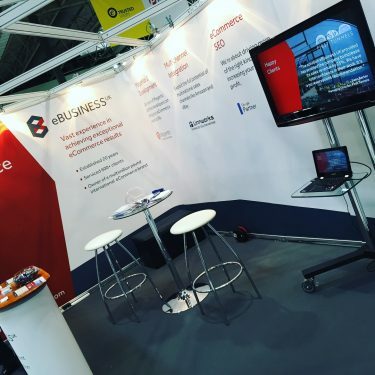 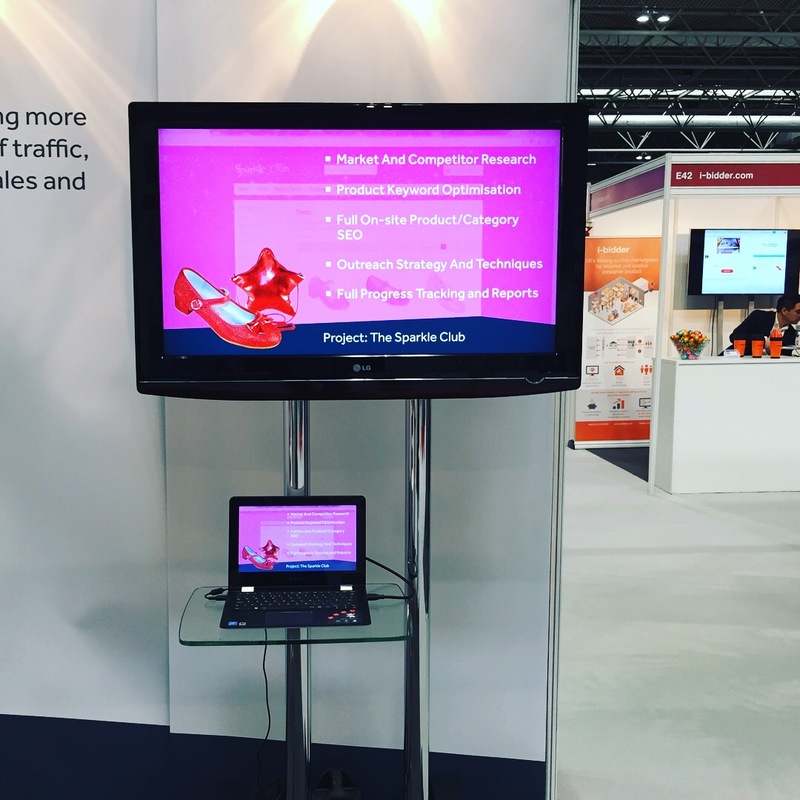 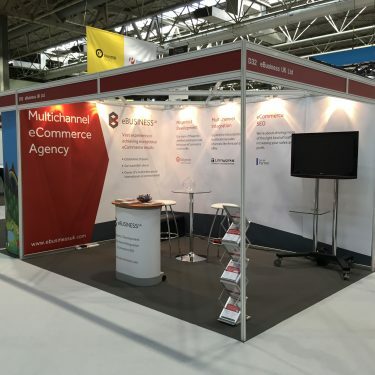 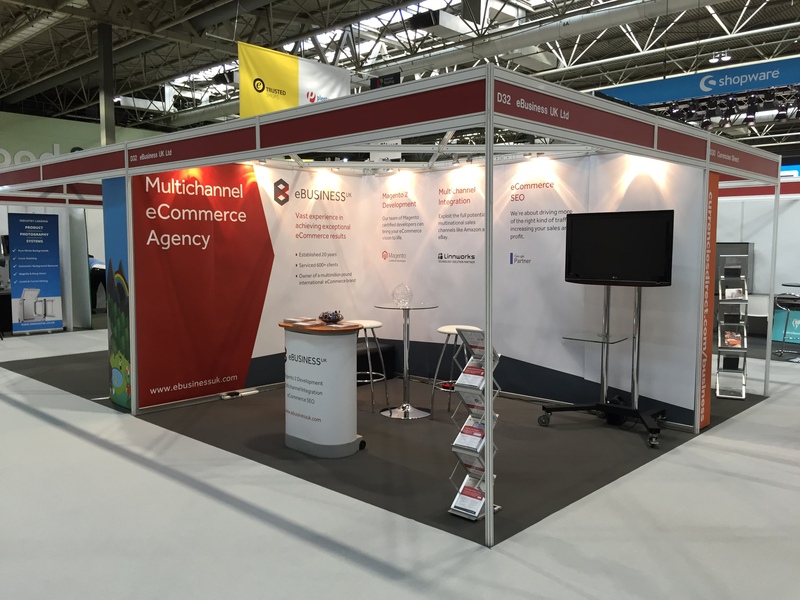 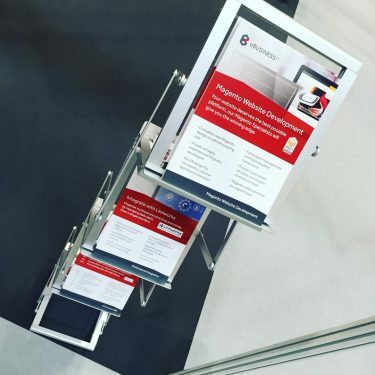 We exhibited at Internet Retailing Expo and the NEC in Birmingham and needed to fill a rather large stand! Banner artwork was designed for the stand along with leaflets to match our company branding. 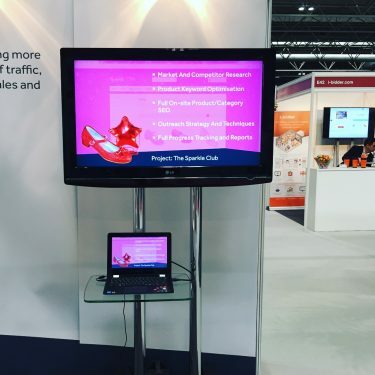 To finish off the stand we had a large screen showcasing a few of our customers websites.